FREE Basic AC Cleaning – With the purchase of any Duct Cleaning. Regular AC cleaning and maintenance is vital to the health and efficiency of your central air conditioning unit. Cooling fins become clogged throughout the year by dirt and debris, lowering your unit’s efficiency and raising your energy bills. Neglecting regular cleanings is also one of the leading causes for air conditioner failure. Be sure to keep your home cool and comfortable all summer long by having one of our experienced technicians clean and check your air conditioner and its components. This service is recommended by all manufacturers. Air Conditioner Clean and Check – Special FREE with a Duct Cleaning. Regular Price $109.95 – We will clean the condenser coil, the fan motor blade, and fan motor and do a full debris removal. We will then complete an inspection to make sure that everything is working properly. 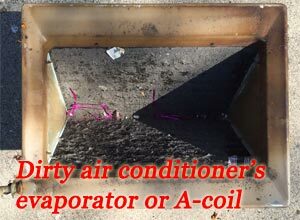 A-Coil or Central Air Evaporator Coil Cleaning – Special $129.00. Regular Price $179.00 – The A-Coil is a separate component that works in conjunction with the condenser which is the outside unit and the blower on the furnace. It is also known as the evaporator coil. All year long air blows through these coils, causing dirt, dust, and debris to accumulate on their sides and in the drain pan. During the use of your central AC, the A-Coil helps to create cold air, which the blower from the forced-air furnace pushes throughout the household. Our technician will pull the A-coil partially out and clean it. The dust, dirt and debris will be removed with specialty compressed air tools. Air Conditioner Freon Check and Refill – Chemical Clean and Freon Check $150.00. Add Freon at $90.00 for the first pound, then $40.00 for each additional pound. Save on duct cleaning costs by combining various services. 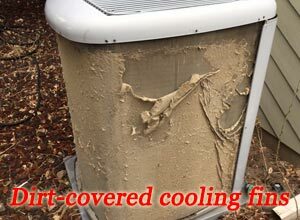 Many things contribute to the accumulation of dirt and debris that can clog air conditioner components and cause inefficient operation and even system failure. Outside condenser units catch all sorts of airborne debris. Leaves, dust, pollen, grass clippings, and cottonwood seeds and fluff can accumulate quickly. The A-Coil inside your home also collects dust in the furnace room. If dust-producers like cat litter trays are near the unit, the problem can be even worse. Condensed moisture can turn clay-based cat litters into a hard-to-remove, energy-robbing hard shell on the A-coil. It’s best to keep cat litter far away from your furnace area. 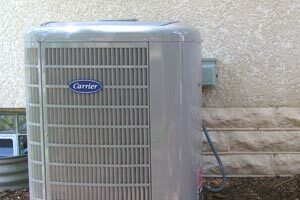 Your central air conditioning system is an expensive piece of equipment. Dirt and accumulated debris can shorten its life and increase your energy bills. Keeping the furnace area clean and covering the outside air conditioner unit can help, but regular professional cleaning is the only way to prevent costly inefficiency and even costly repairs or replacement. Contact our Minnesota air duct cleaning company soon for a service and combine air conditioner cleaning with any duct cleaning for dramatic savings. We have the expertise and equipment needed to properly clean your air conditioning equipment in Minneapolis St. Paul, MN. We serve homeowners in the entire Twin Cities metro, from Arden Hills, North Oaks, Lino Lakes and Roseville to Savage, Shakopee, Lakeville and Eagan, and from Eden Prairie, Minnetonka, St. Louis Park and Golden Valley to Oakdale, Lake Elmo, White Bear Lake and Cottage Grove. Disclaimer: There is an additional cost for animal removal (dead or alive) or animal nests or debris removal. This cost will vary depending on the circumstances.